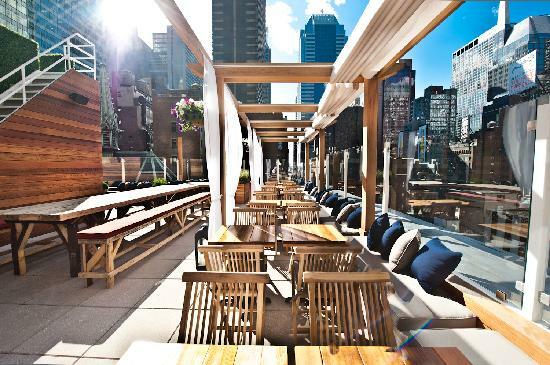 After our favorite rooftops in Bangkok, here’s our selection of New-York hotels rooftop bars. Careful though: some of them have a members/hotel guests-only policy. Ever watched Gossip Girl ? 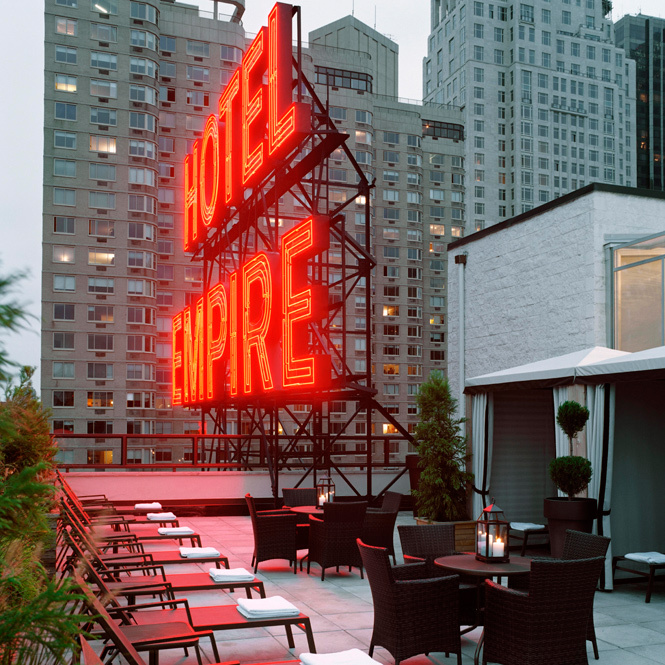 Then the Empire Hotel is the place to be. 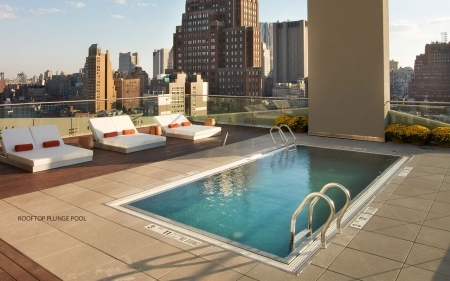 Enjoy great views on Lincoln Center & Central Park from the 12th floor of the hotel. A60 is opened to the hotel guests and members. But if a private rooftop is what you’re looking for, A60 definitely is your place. The 60 Thompson also features a great thai restaurant (Kittichai), for those of you who miss Thailand every once in a while. Opened in 2012, the Hudson Lodge makes you feel like you’re in a top-notch ski resort. Now you have a good reason not to stay at home binge-watching Netflix during winter. 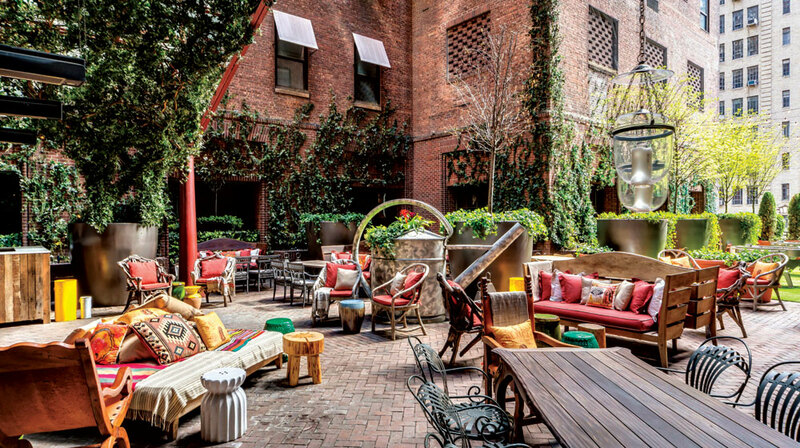 With its private pool and great cocktails, the Soho House would be the perfect place to go out, if only you did not have to be a member to enjoy it. Oh wait: you can book a night there anyway, that’ll do the trick. Time to splurge with your SO ! 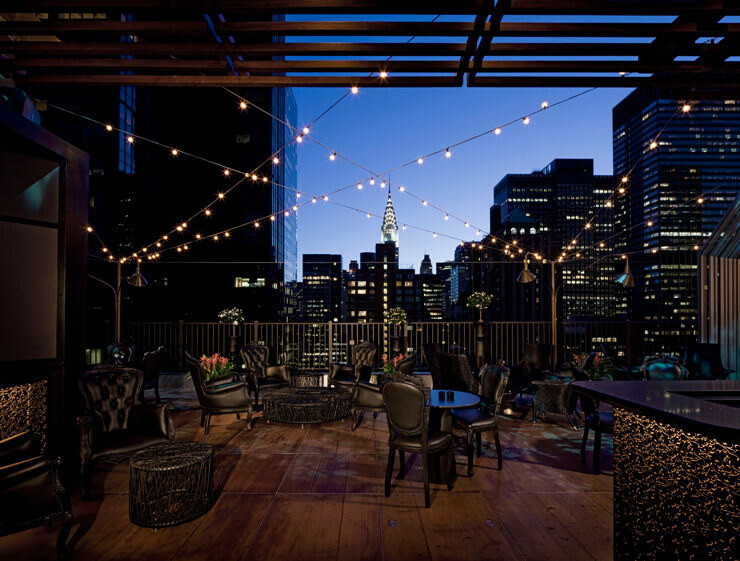 Upstairs features both indoor and outdoor spaces and boasts great views on the Chrysler Building. You know W. You know what a great cocktail is. 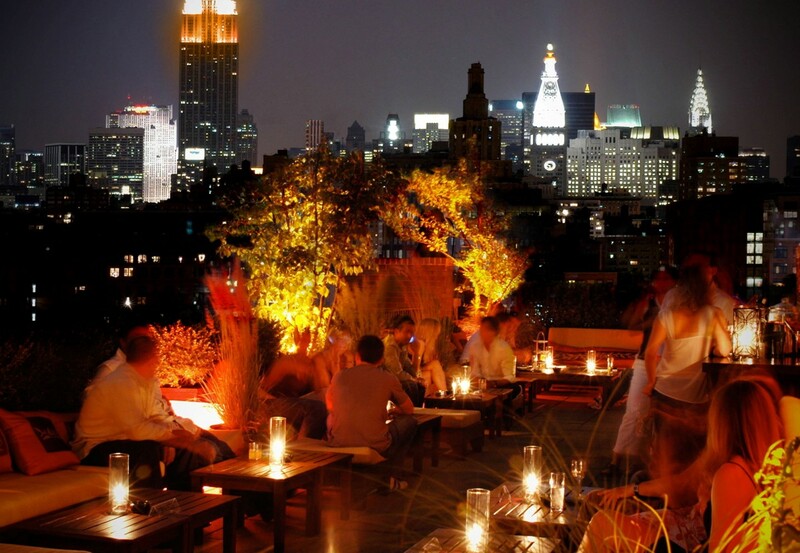 You want a very nice rooftop terrace to party: look no more, you’ve just found it. If you’re a W lover, of course. 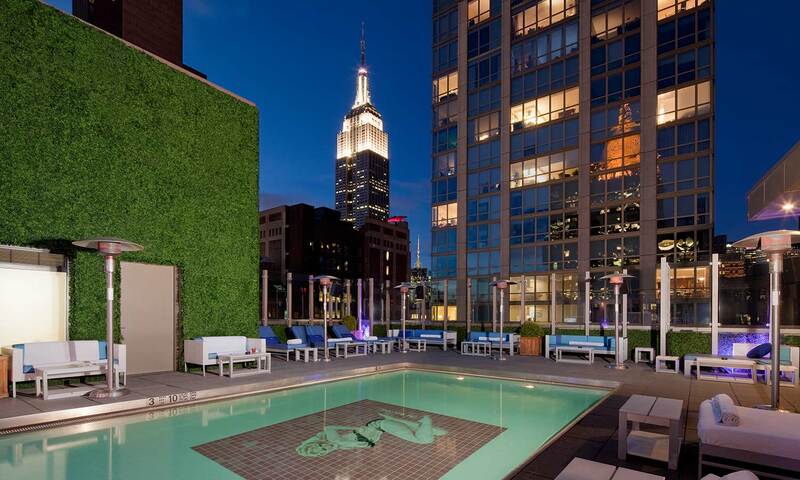 Weird name, but great rooftop terrace on the 20th floor of the Gansevoort Park Avenue Hotel. Enjoy great views on the Empire State Building and if it’s a little cold out there, you’ve got a fireplace too. 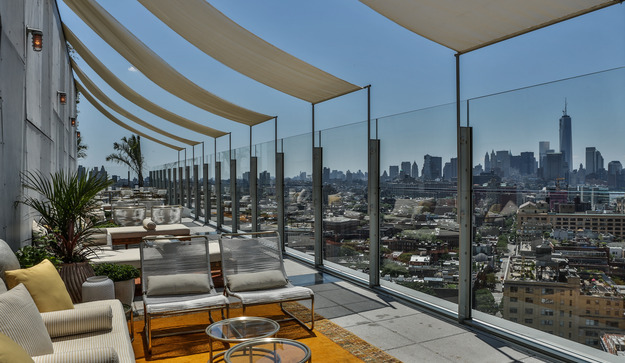 The Standard Hotel features The Top of the Standard (for nice drinks with views on the New-York skyline), but also le Bain, where great parties happen. Easy life? 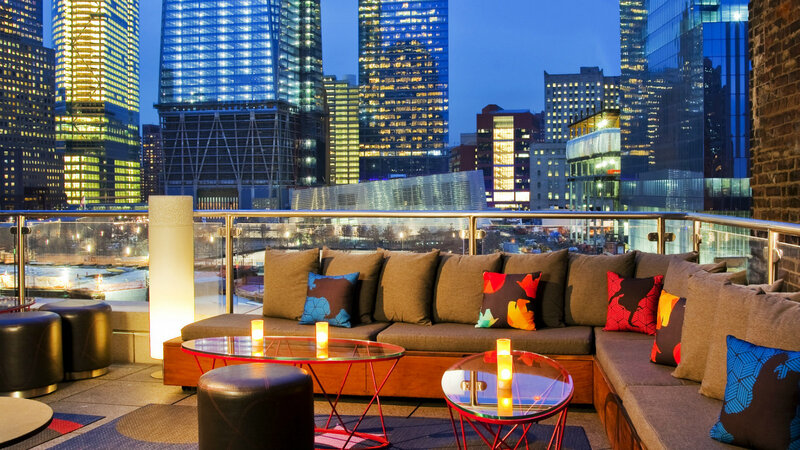 Right there: find your perfect seat on the 14th floor and enjoy Times Square from above. 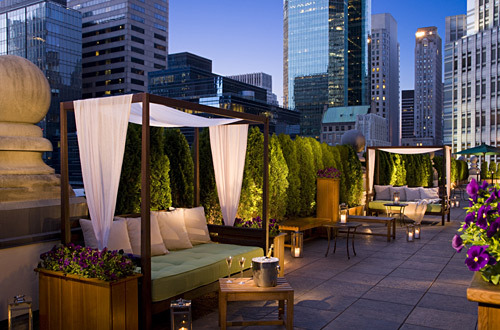 JIMMY is the rooftop bar of the James Hotel. Though not the “hypest” in town, it’s still a good place to enjoy great cocktails (with home-made syrups and herbs) and have a smoke along the pool. If you’re not a guest of the hotel, you’ll have to wait until 9 pm to access JIMMY. While we would not come for the food menu, the view seems to make it a great place to have an early-evening cocktail (we may be wrong on that one though). 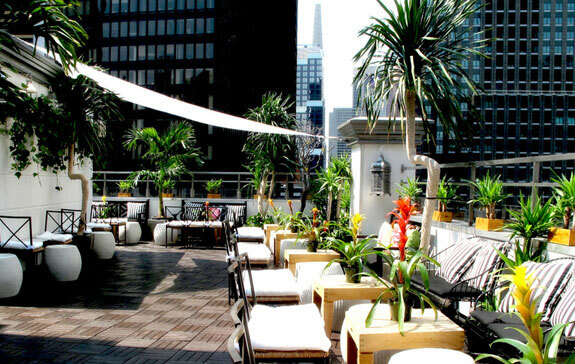 mad46 is the rooftop bar of The Roosevelt Hotel. You can organize private events or just go for a drink and some bites . Don’t forget to suit up (or at least leave your old pair of jeans at home, there’s a dress code). We have to say that (online at least), people seem to have mixed feelings on mad46.